Michelle Obama. Random House, 2012. A Celebration of America's gardens as well as a conversation about the importance of a healthy diet by the First Lady. The thoughts (and fears) of famed culinary writer Julia Child as revealed in over 200 letters written by her to her dear friend (and unofficial literary agent), Avis DeVoto. Of special interest are the letters documenting the writing process that produced Mastering the Art of French Cooking and as well as her deep love for her husband, Paul. Tanya Scholes and Robert Mondavi. Santa Monica Press, 2010. A stunning tour de force reviewing 250 of the world's most beautiful wine labels. Created together with the wine master Robert Mondavi, each label is studied from design concept to final printing. Master Chef Ewald Notter. Wiley, 2011. From the simple to the sublime, Chef Notter shares with readers all that chocolate can be when handled by a master. Instructions are included for fellow pastry chefs ranging from small candies to large showpieces. Serena Sutcliffe et al. Jacqui Small, 2009. Explore the fascinating art history of stunning 20 Perrier-Jouet Champagnes from 1825 to 2002. 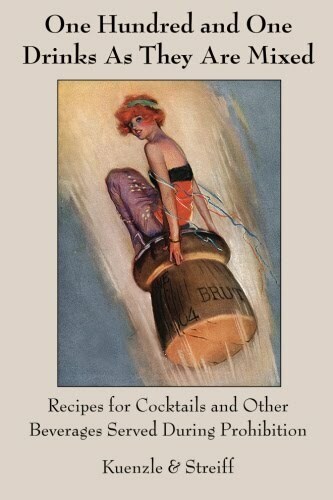 A must-have book for lovers of the famed Belle Epoque painted green bottles. Written by a winner of six James Beard Awards, Madhur Jaffrey insightfully shares her in-depth knowledge of Indian cuisine with readers eager to explore a new world of flavor ranging from India to Sri Lanka. Both a chef and actress, Ms. Jaffrey lets you bring all the drama of the Far East to your home. Chef Mario Batali. Clarkson Potter, 2002. Chef Batali's masterpiece containing over 150 contemporary Italian recipes. Featuring creative recipes such as Mint Love Letters and Beef Cheek Ravioli, Chef Babbo pays loving homage to his New York restaurant Babbo Ristoranti e Enotica. Nancy Verde Barr. Houghton Mifflin Harcourt, 2013. Barr takes the reader inside the professional world of culinary legend Julia Child. As her assistant and friend for over 24 years, Barr followed Child from her appearances on the Good Morning America show to her final days in retirement. Together they toured, lectured and changed the culinary world. Fiona Cairns. Quadrillo Publishing Ltd., 2011. No one can dispute that Kate, the Duchess of Cambridge, has style. But as any chef knows, style is often determined by one's choice of vendors. Central to the elegance of the Royal Wedding was Kate's stunning wedding cake created by Fiona Cairns, the celebrated author of Bake & Decorate. Big Green Egg. Andrews McMeel Publishing, 2010. No, not a book written by Dr Seuss of Green Eggs and Ham fame. Rather, it was written by the Atlanta company that produces one of the world's best outdoor grills. Its green coating and egg shape gave rise to its name. Here's the book that tells you how to create award winning meals on it every time. David Tutera. St Martin's Griffin, 2010. Every wedding should be a feast of joyous memories, not a budget that will burden the bride and groom for the first years of their marriage. Experienced party planner David Tutera shares the tricks of the trade to create a meaningful but realistic wedding day that's easy, economical and still elegant. From invitations to the departing limo this is a must-have book for the busy bride (and groom). Jennie C. Benedict. University Press of Kentucky, 2008. Do you love the Kentucky Derby, Mint Juleps and those green Benedict Sandwiches that are a must of Derby Day? Here's the nearly forgotten story of a never-give-up woman who created those legendary Louisville sandwiches. Her career included studying with Fannie Farmer at the esteemed Boston Cooking School, and becoming a sought after caterer who also managed a successful tea room in an age when 'proper' ladies didn't work. Richar Wrangham. Basic Books, 2008. An insightful book about how fire has crafted civilization. When humanity moved from eating raw foods to cooked ingredients, the evolutionary impact was immense. In a starkling new theory, Richer Wrangham parallels the growth in human brain size to the acquisition of hot food. Once read, you'll never look at fire the same way again. Don and Petie Kladstrup. HarperCollins, 2010. Every time you hold a glass of champagne in your hand, you are holding a glass of liquid history. Few people know the true history of champagne which began, not in glamour, but with the failure to stabilize a strange bubbling wine. Here's the story of how an explosive limitation became a glorious attribute. Ah, champagne! John Sarich. Seahill Press, 2011. A true master of both wine AND food, Chef Sarich is the esteemed Culinary Director at the legendary Chateau Ste Michelle in Washington State. 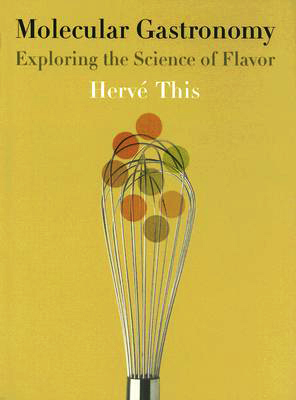 His world travels are shared in this remarkable collection of wine recipes both with and in food. Jeanette Hurt. Countryman Press, 2008. When a state is famous for a specialized food product, culinary travelers need a focused culinary guide book. Thanks to Jeanette Hurt, cheese lovers have the perfect Wisconsin cheese guide. Grant McCracken. Basic Books, 2009. Key corporations today know that predicting cultural change is the key to long term success. 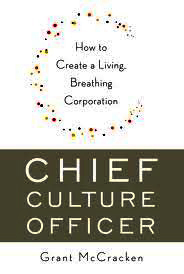 McCracken studied this emerging trend and discovered a new position in the making: Chief Culture Officer. Are you ready to become one? Chef Michael Recchiuti and Fran Gage. Stewart, Tabori & Chang, 2005. Known as the Picasso of chocolate, Chef Recchiuti's unique creations and sweets have won awards around the world. Here are over 60 recipes for his very unique treats. Various Chef Writers. Algusto Ediciones, 2010. For over a thousand years pilgrims have traveled the holy road to Santiago's great cathedral. Now there is a special cookbook that documents the memorable meals served by master Spanish chefs along the Way. Chef Joel Robuchon. Knopf, 2008. Called by many "the chef of the Century", Joel Robuchon believes that the strength of the culinary profession is grounded in sharing. Here are over 800 time-tested recipes ranging from Pot-au-Feu to Sole Meuniere. 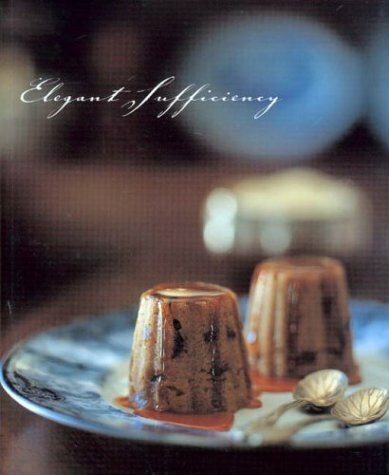 An astonishing collection of all that's best from one of France's master chefs! Chuck Williams and Kristine Kidd. Weldon Owen, 2010. Culinary writer Kristine Kidd co-wrote this guide to enjoying the best at home with Chuck Williams, founder of the famed Williams-Sonoma Gourmet Stores. Their combined expertise created a cookbook that can enrich and brighten any family table dish after dish. Ian Kelly. Walker and Company, 2004. Discover one of the world's most remarkable chefs - Antonin Careme. The man known as the "Father of Modern French Cooking" started life as an orphan and rose to cook for such notables as Napoleon, the Rothschilds and the Russian Czar. He popularized the souffle as well as the toque, the tall white hat still worn by chefs around the world in his memory. Joseph Feinn III. Pelican Publishing, 1996. Now a world famous restaurant that serves New Orleans' beloved Creole and Cajun dishes, the Court was once the home of two enterprising sisters. Each year during the late 1800s they traveled to Paris, studied the high fashions there and then recreated them for their waiting customers in America. The included photos and recipes will let you recreate an era that the Crescent City has never forgotten. Charles Oliver. John Blake, 2007. What is it like to serve the Queen of England? Few know, but Charles Oliver, who served on the Palace staff, shares his stories of state banquets and simpler meals enjoyed by the Royals in this rare book. Take a look into a little known world of grand galas and hunting sandwiches. Mimi Sheraton. William Morris Cookbooks, 2004. Here is the life of Mimi Sheraton, restaurant critic of the New York Times. Once she had obtained what many would consider a 'dream' job, she ate in the world's great restaurants for seven years. Her influential reviews often decided the professional fate of many a talented chef. And then she quit. Why? Ah, you'll have to read the book to find that out. Darren McGrady. Thomas Nelson, 2007. For 15 years Chef McGrady served England's royal family before becoming Princess Diana's chef for four years. 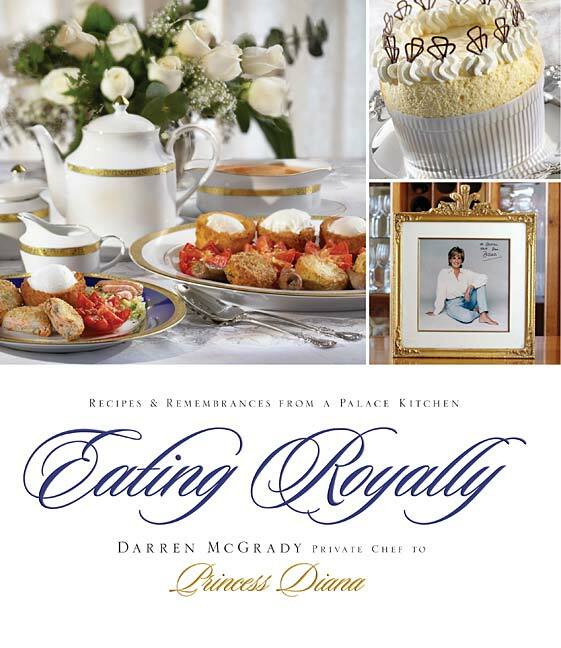 His book includes over 100 royal recipes. There's sushi and then there's Edomae Sushi, the original quick treat of Japan's ancient capital, Edo. Esteemed Master Chef Kikuo provides both history and recipes, focusing on both the fresh and the beautiful. 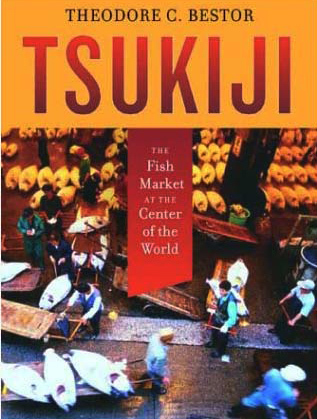 A must-have book for all insightful sushi lovers! Claudia Hyles and Ron Ransey. National Gallery of Australia, 2004. Classic Edwardian recipes have been skillfully updated for the modern cook in this charming cookbook. Now you can enjoy Creme Princesses and Scottish Parliament Biscuits to name just a few of the treasures within. Michael S. Smith. Rizzoli, 2005. Celebrity designer to the Oscars as well as a legendary hotel and restaurant decorator, Michael Smith knows how to put it all together when it comes to interior design. Here are his secrets and suggestions for creating memorable interiors large and small. 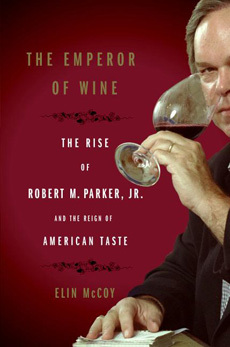 Meet Robert Parker, the man who bravely rated the wines and changed the way America looks at (and drinks) wines. His conversion from a middle class soda-drinking lawyer to a world-noted authority on wine could only happen in America. From humble beginnings to international fame (and controversy) it's all here! Joan Dejean. Free Press, 2006. Let's face it - the French have style. 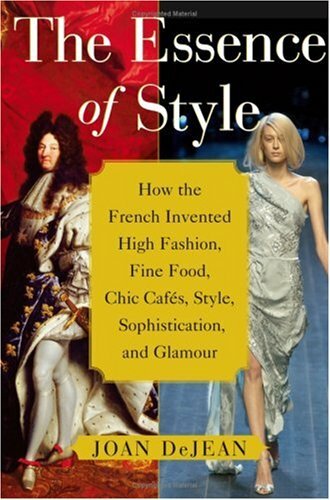 Starting with Louis XIV, Joan Dejean traces the uniquely French concept of marketing luxury as a product in and of itself. From fine wines to legendary fashion designers, she tells a tale seldom told - why chic is profitable, very profitable. Chef Alain Ducasse. Artisan, 1998. What makes Chef Alain Ducasse unique? Well, one can start with the fact that he holds a collection of 14 Michelin stars from his three restaurants. Add to that his wide ranging creativity, easily crafting dishes that embrace the totality of regional French cuisine. Here, with recipes included, is a sampling of an outstanding culinary talent. Carl Warner. Harry N. Abrams, 2010. Remember when they told you not to play with your food? Carl Warner disregarded that advice and look at the results: a wonderland created solely from fruits and vegetables. Everyone has heard of the "Founding Fathers" of the American government, but you know that many of them (including the 'Founding Mothers') were devoted home gardeners? Here's a book that documents the beauty and bounty of colonial gardens, such as that of Thomas Jefferson's, as the hope of freedom flowered nearby. Chef Thomas Keller. Artisan, 1999. Considered by the New York Times one of the most exciting places to eat, Chef Thomas Keller graciously shares hundreds of the culinary secrets that set his famous restaurant apart from all others. Learn how vinegar enhances flavors, what's the right way to poach a fish and so much more. A culinary classic! Mireille Guiliano. Atria Books, 2011. How do the ladies of Paris dine so well and stay so thin? Here is the secret to their success, kindly written down for the rest of us by Mireille Guilliano, who was also the President and CEO of Clicquot Champagne. As an elegant French woman in her own right, she is proof positive these 'secrets' work. Caz Hildebrand and Chef Jacob Kenedy. Quirk Books, 2010. 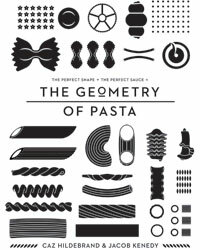 There are literally hundreds of different pasta shapes but not until Hildebrand and Kenedy crafted their book were these shapes appreciated for their beauty. Wheels, tubes, twists, folds and grooves - they're all here, complete with over 100 savory recipes. Outstanding! Andrew Williamson. Thomas Cook Archives, 1998. Remember when travel was easy AND elegant? Those grand old days are now recaptured in this delightful book created from the images in the vast archives of the Thomas Cook Travel Agency. Ah, yesterday! How we long for your return! 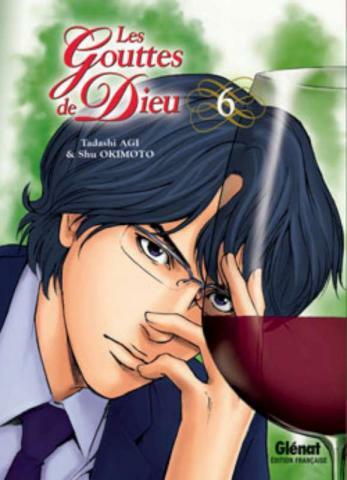 A Japanese mystery comic that set off a worldwide interest in wine. A young man can gain a fortune if he can identify the great wines left behind by his deceased father. It's an elegant treasure hunt and a lesson in life all rolled into one. Read by millions around the world. 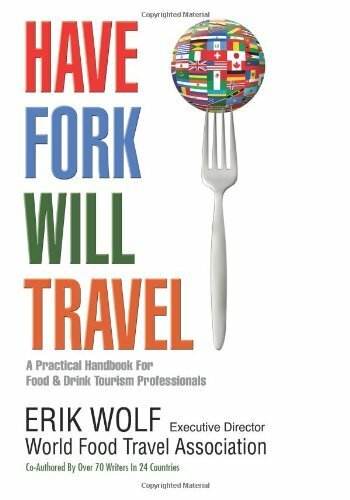 In a stunning tour de force, that includes over 70 in-the-know co-authors from 24 counties, Erik Wolf has created the must-have manual to conceptualize and implement culinary tourism. Sweeping in concept yet grounded in actual facts and figures, this book presents the working framework for a new segment of the Hospitality Industry. Bravo! For 25 years Chef Tanis has overseen the nightly preparation of original meals at California's famed Chez Panisse. The fresh regional ingredients brought daily to the restaurant form the backbone of his culinary philosophy to eat seasonally. The recipes included reflect that belief. Tobias and Ben Reed. Willow Creek Press, 1999. Films have long been a vehicle for establishing trends and styles. This influence reaches even into the world of cocktails. Here's a charming index with recipes of the films that, from Casa Blanca to James Bond have told us what to drink if we're really cool. 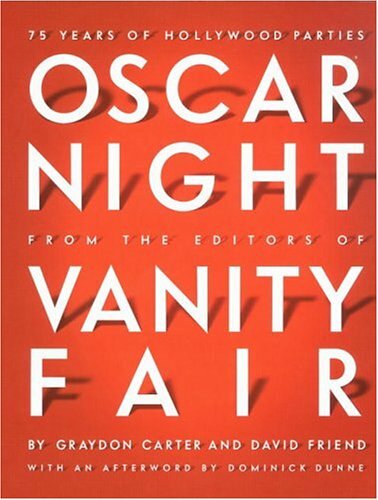 If you're planning an Oscar Viewing Party, this is a must-have reference book for matching food and fun with historic cinematic cocktails. John F. Mariani. Palgrave Macmillan, 2011. Once Italian cuisine was considered the food of poor immigrants. Today it is acknowledged as one of the world's great culinary traditions. Here is the amazing story of how taste and talent triumphed over fear and prejudice enabling diners worldwide to enjoy a cuisine that never bores. And there is all that wonderful wine as well! Letita Baldridge and Chef Rene Verdon. Doubleday, 1998. Jackie Kennedy brought a style and elegance to the White House that electrified the world. Whether she was entertaining musical legends such as Pablo Casals or overseeing international diplomats at a state dinner, her style was unique and elegant. This book pays homage to that special era of grace and poise. Bernard Glassman and Rick Fields. Harmony Press, 2010. The story of Boston's Greystone Bakery and how Glassman and Fields adapted the philosophy of 13th Century Japanese Zen Master Dogen to the modern kitchen (and beyond). Discussed in depth is the spiritual aspect of daily work as well the need to relate to community. The need for profit and sustainability are not overlooked as well. 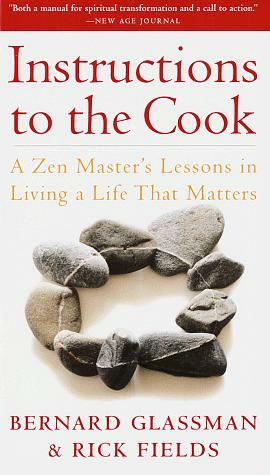 A must-have book for those thoughtful about the deep meaning of cuisine (and life). A great gift book for those just beginning their career or for those seeking a new path of creativity. Laura Shapiro. Penguin Books, 2007. The life story of famed culinary writer Julia Child with all the ups and downs of her remarkable life: her late life start, her lifelong love of her talented husband Paul, her wildly popular TV cooking show (including all those dropped omelettes) and, of course, the great cookbook, Mastering the Art of French Cooking. A great read! Chef Albert W.A. Schmid. University Press of Kentucky, 2010. Once bourbon was thought of as a spirit popular only with 'spirited' gentleman of the old South, but no more. 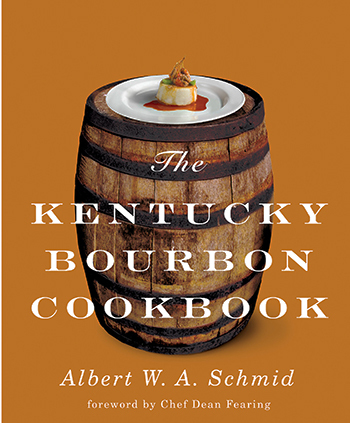 Today chefs are rethinking their use of Kentucky's unique gift to the world. Here are Chef Scmid's very original recipes. Enjoy! Raymond Blanc. Bloombury USA, 2012. A culinary legend of BBC and Harrods fame, Chef Blanc takes the complex and explains its essence. In over 100 demonstration recipes, he captures the very heart of French cuisine, sharing little-known secrets that can easily make the difference between success and failure in the home or professional kitchen. A complete exploration of the world of tableware from country stoneware to fine bone china. Each era's stemware, flatware and table settings are presented and illustrated in stunning full-color photographs. A must-have book for both the collector and the creative host. Charles M. Carroll. Wiley, 2007. Modern chefs have more than just sharp knives at their disposal; they hopefully have equally sharp leadership skills within the kitchen. Chef Carroll presents three ingredients: Scheduling, Empowering and Follow Up (known as the SEF Method). 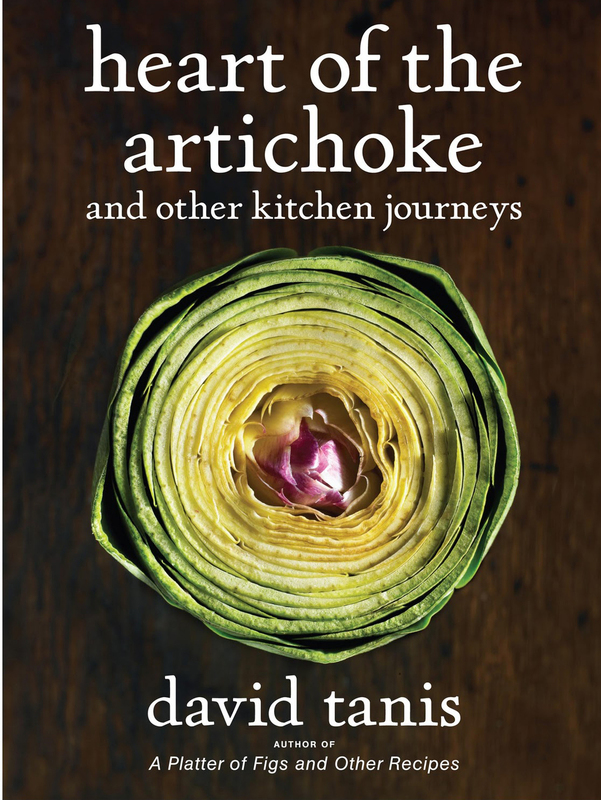 A great book for those daring to be great both in the kitchen and beyond. Charlie Trotter. Ten Speed Press, 2012. Though Master Chef Charlie Trotter is sadly no longer with us, he has thoughtfully left behind a trilogy of books that explain the essence of cuisine, service and wine. Each is an inspiration AND a practical guide from a very gifted man who left us all tragically too soon. Esteemed and greatly missed, what can we say but, "Thank you Charlie! You were truly excellent!" 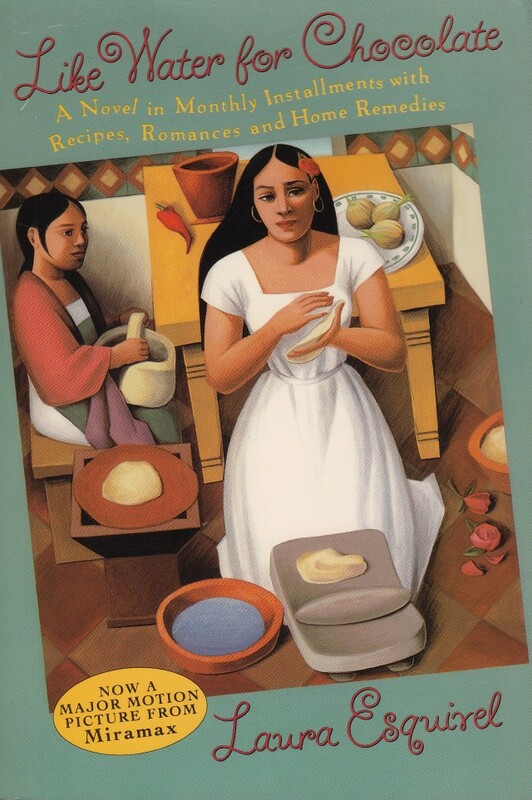 A stunning tour de force of writing in the style of magical realism by the Mexican writer Laura Esquivel that follows a tale of love expressed through food. A young creative cook is forbidden to marry before her older sister. A few spices here and there and the rest is, well, simply magical. A culinary classic that uses myth and magic to catch the meaning of cuisine. A great read! Henri Schindler. Pelican Publishing, 2000. There is no place better for food and fun than New Orleans during Mardi Gras season. While there are endless public parades the private citizens of the Crescent City celebrate at invitation-only Krewe Balls. And what invitations - each an art work in its own right. Just like the food of New Orleans! Max McCalman and David Gibbons. Clarkson Potter, 2009. If you love cheese and live in New York City, then you probably know Max McCalman, Dean of Curriculum at the Artisanal Premium Cheese Center. Here is Dean McCalman"s vast knowledge about all matters cheese ready to read. Herve This. Columbia University Press, 2012. The culinary classic that started it all. Chef This is both a culinary master and an accomplished chemist. Working with famed chef Pierre Gagnaire, he was one of the first to research why cooking food works the way it does. Such an engaging book about the world of fungi, it was reviewed by the Wall Street Journal. Beginning with a raging forest fire that clears the forest floor of weeds and pests, Bone explains why mycophilia is necessary for us all - in and out of the kitchen. From fairy tales to scientific laboratories, it is a fascinating story growing right beneath our feet! Joseph A. Michelli. McGraw-Hill, 2012. Serving others requires expertise and talent. 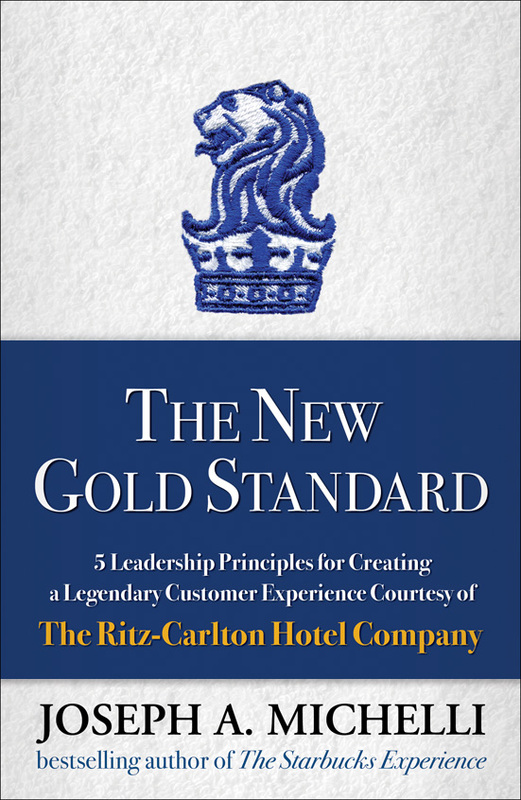 Michelli expands on this concept in his excellent book, believing that members of the hospitality industry should be ladies and gentlemen serving ladies and gentleman. A must-read for all staff members at every level. Kuenzle and Streiff of Manila. Kalevala Books, 2011. History sadly often gets rewritten. That is especially true in the research field of cocktails where false facts abound. Here's a book that sets matters straight - ounce by ounce. Experience the difference authenticity can make. Francine Segan. Stewart Tabori and Chang, 2006. From Aida to Carmen, opera has always been about the grand, including food and drink. 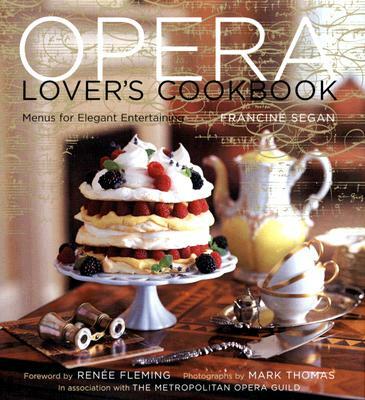 Here's a book by culinary diva Francine Segan that covers every act from soup to final sweets. There's sure to be applause with every dish you serve! Graydon Carter and David Friend. Knopf, 2004. From the first Oscar Party hosted by the Academy of Motion Picture Arts in 1929 to today, Hollywood's parties are gala events unequaled anywhere else. Studded with by Stars and created by the leading event designers of the day, here they all are again, ready to party across the pages. James M. Gabler. Bacchus Press Ltd., 1995. This award winning book documents Thomas Jefferson's five years in Europe where he served as America's ambassador before becoming America's third president. While there, he traveled extensively in France, England, Germany, Italy and Holland collecting books, ideas and wines to share with his very young and inexperienced nation. Bill Yosses and Melinda Clark. W.W. Norton and Company, 2010. White House Executive Chef Bill Yosses knows the perfect answer to the statement, "Don't worry - I'll bring dessert." Whether it's made from scratch or enhanced from takeout, Chef Yosses knows how to make it quick, easy and impressive. Barry H. Landau. Harper, 2011. History can sometimes get misplaced but not by Barry Landau, America's leading collector of presidential artifacts. From his vast collection of White House menus and invitations, he has created a monumental work that completes presidential history. What did George Washington and Charles Dickens have to common? You guess it: both were devoted to punch, that flowing bowl of hospitality nearly forgotten today (except at weddings, of course). David Wondrich is out to change all that with his well-researched and very funny new book. A must-have if you are a party giver who loves both fun and history. Jeffery M. Pilcher. University of New Mexico Press, 1998. From pre-conquest days to modern Mexico, few countries have so strong a national identity through food. From tamales to tacos, mole to tortillas, Mexico's cultural history matches her culinary heritage. Here, documented for the first time, is why food matters so much South of the Border. Margaret Guthrie. Eclipse Press, 2002. If you long for crab cakes at Pimlico, then this book should be a favorite. If you've never enjoyed this racetrack treat, then this book will make you want to race to the Races. Chef John R. Hanny. La Marque Publishing, 2012. From State Dinners to private snacks, White House Chef John R. Hanny captures it all in his new book. 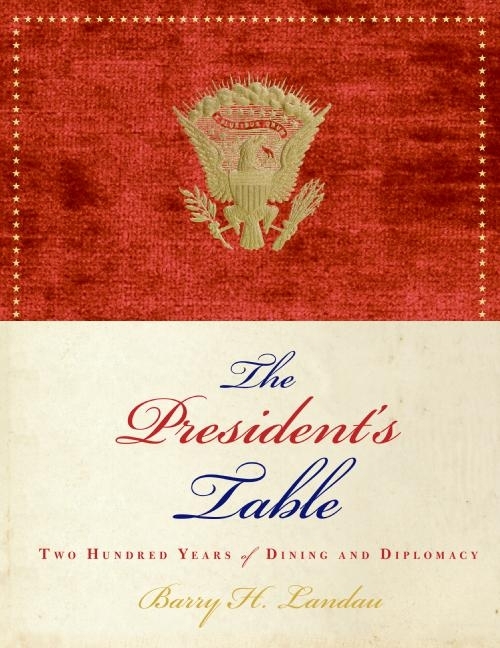 Over 300 recipes invite the reader to join history and dine as Presidents Roosevelt through Obama have. Truly a book to read and savor as well as to use. Though trained in French restaurants, Chef Mallman has decided to follow the flavorful flames of his childhood and return to grilling Argentine style. In a tour de force, Seven Flames explores the seven little known grilling methods of South America. Lisa Abend. Atria Books, 2011. 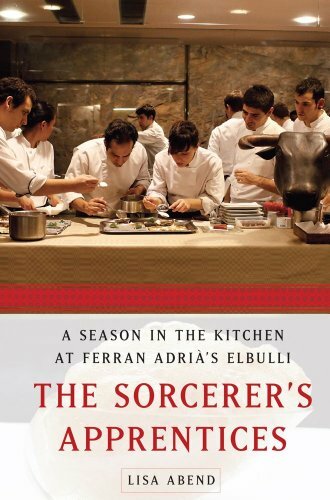 A remarkable book that follows 35 men and women who willingly worked for the culinary master Ferran Adria. In the process, the reader has a rare chance to encounter this culinary legend as boss, teacher, taskmaster, business manager, creative genius and yes, a very human individual. Sasha Issenberg. Gotham Books, 2007. Here's the story of how sushi began in Edo, Japan as a worker's roadside quick snack and became an elite cuisine enjoyed around the world today. A story that contains wealth, fame, piracy and the global economy - it's quite a read. You'll never look at sushi quite the same way ever again. John Hailman. University Press of Mississippi, 2009. Many individuals think that Thomas Jefferson's interest in wine began while he was the American ambassador to France. Not so - John Hailman writes. He tells the nearly forgotten whole story, beginning with Jefferson's student days in Williamsburg and ending with his long pensive retirement at Monticello. A masterful work that documents the lifelong interest of a true connoisseur. Michael J. Silverstein and Neil Fiske. Portfolio, 2008. Single women in America have an estimated $374 billion dollars available annually for discretionary spending. Silverstein and Fiske write that marketers seek to attract those dollars through luxury enhancements, i.e., "trading up." A truly fascinating read. Roberto Santibanez. Houghton Mifflin Harcourt, 2011. Chef Santibanez explains in his new book that, while Mexican flavors are complex, the actual preparation isn't. He shares how it's all done in detailed descriptions and colorful photographs. Theodore C. Bestor. University of California Press, 2004. Located near the Ginza district in Tokyo is the world's greatest fish market - the Tsukiji. Each morning over 10,000 tons of fish arrive here into a world both modern and ancient. Among traditional fish knives, the latest cell phones ring - all told in Bestor's comprehensive biography of place. Xoliswa Ndoyiya and Anna Trapido. Real African Publishers, 2013. Far more than just a cookbook, this remarkable book records through food the life journey of Nelson Mandela. Each era of struggle and triumph is included from the first days of oppression to peace and reconciliation. Truly inspiring! Rene Verdon. Doubleday and Company, 1967. When Jackie Kennedy brought style and grace to Washington D.C., she also brought the French chef Rene Verdon to the dated White House kitchens. Here are the recipes and the stories from that era of glamour and elegance, an era still unsurpassed in the nation's capital. Included are over 500 recipes such as Bouillabaisse Marseillaise and Pork Chops Charcutiere. Also included is the recipe for President Kennedy's favorite New England Clam Chowder. A must-have for culinary collectors. Don and Petie Kladstrup. Broadway Books, 2002. When the Germans invaded France during WWII, they not only stole art but also wine. Here is the story of how enterprising wine masters and restaurant owners hid, at the risk of their own lives, France's bottled treasures. Behind false walls and fake labels, they saved the best and protected an entire industry. Sean Stanwick and Loraine Fowlow. Wiley, 2010. Gone are the days when the elegance of a wine was represented only by its label. Today beautiful destination wineries are definitely part of the wine lover's experience from Austria to the U.S. Stanwick and Fowlow capture this trend in their stunning new book about architecture above the barrels.